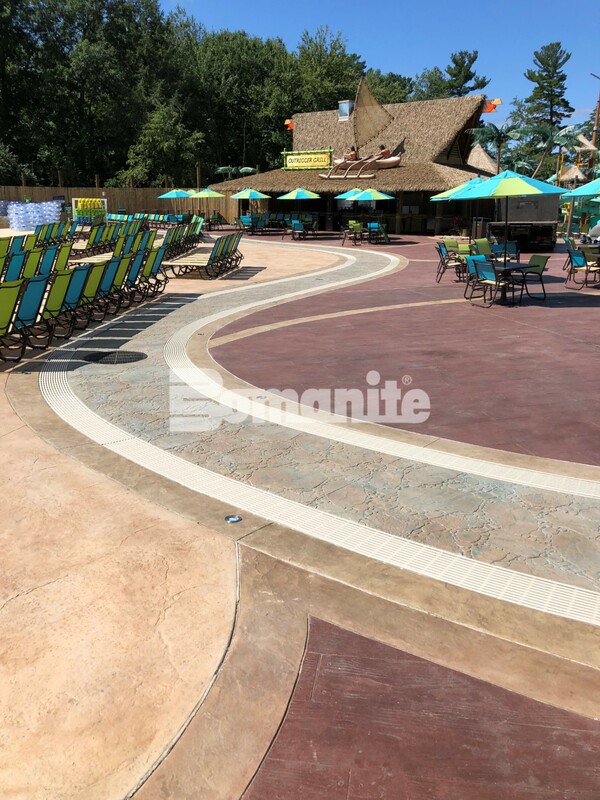 The Waterpark of America project involved the installation of approximately 22,400 square feet of monolithic Bomanite imprinted decorative concrete flooring in a Slate Texture Pattern on five different levels, including steps, curbing, structural bridges and ramps along with over 1500 lineal feet of pool coping which is poured and finished monolithically with the decks. 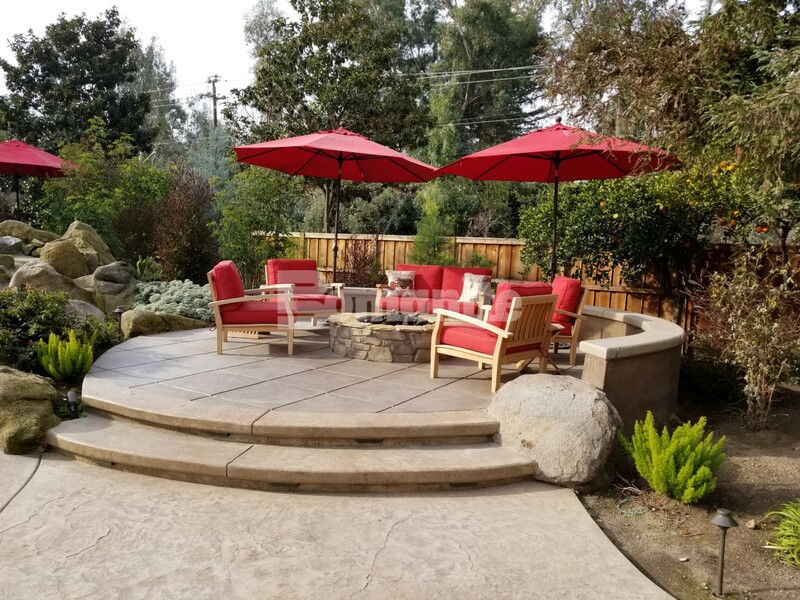 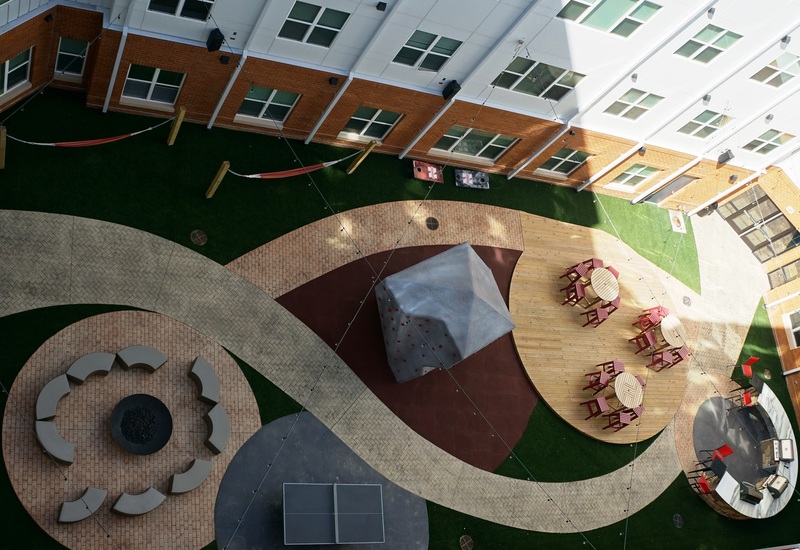 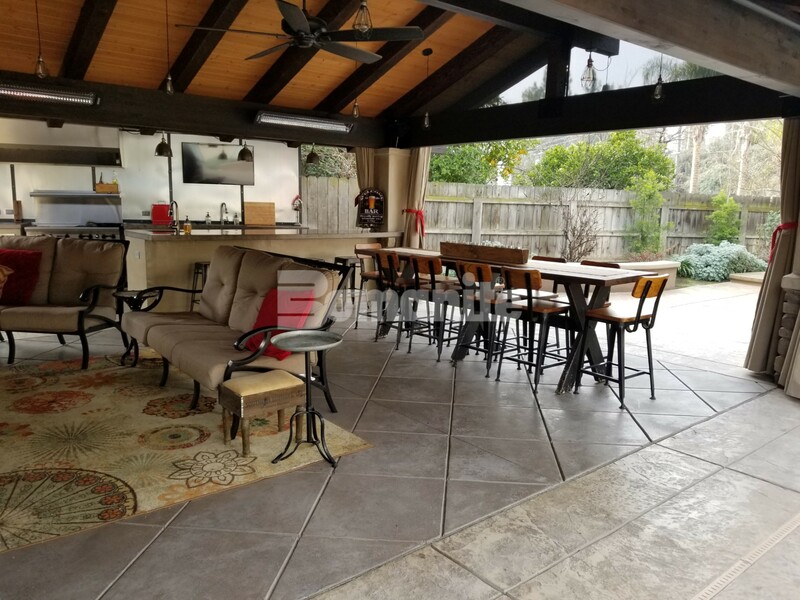 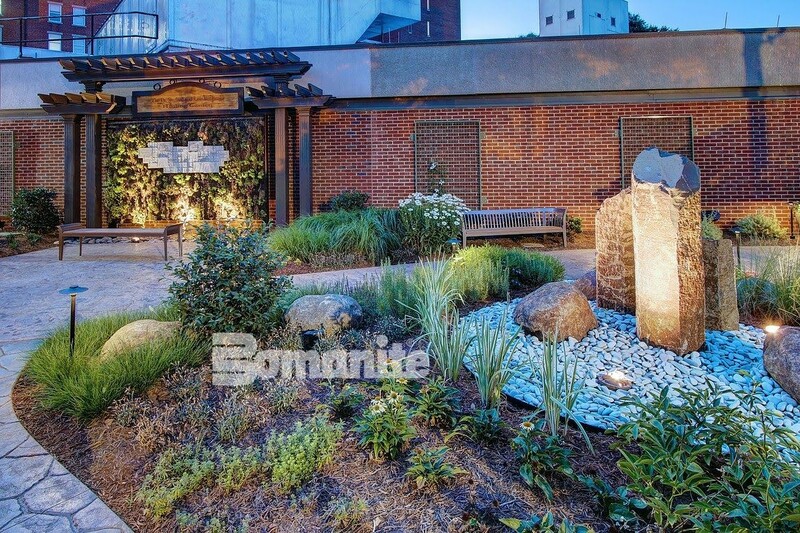 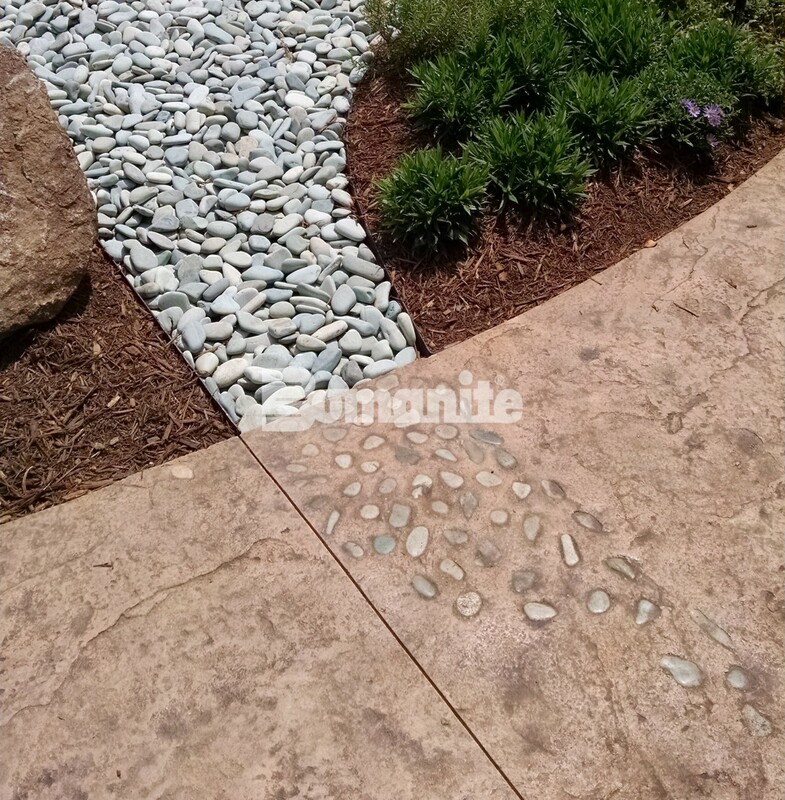 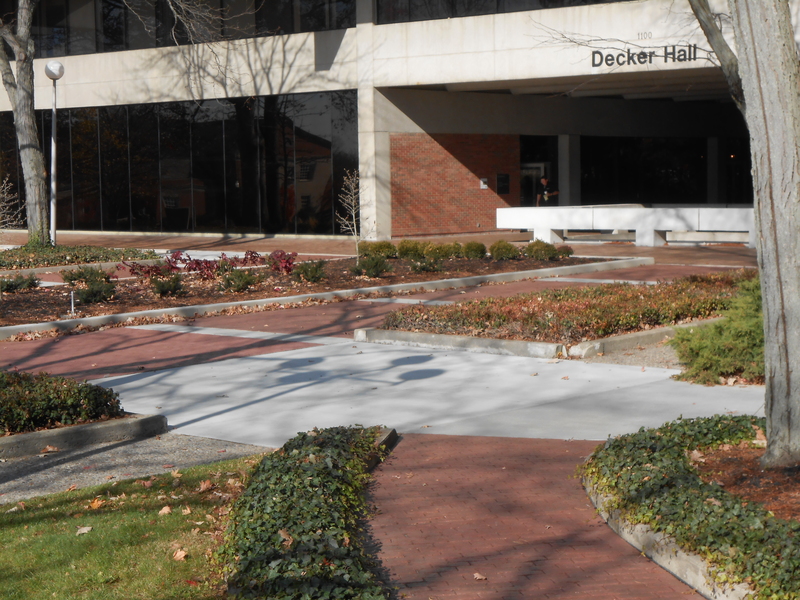 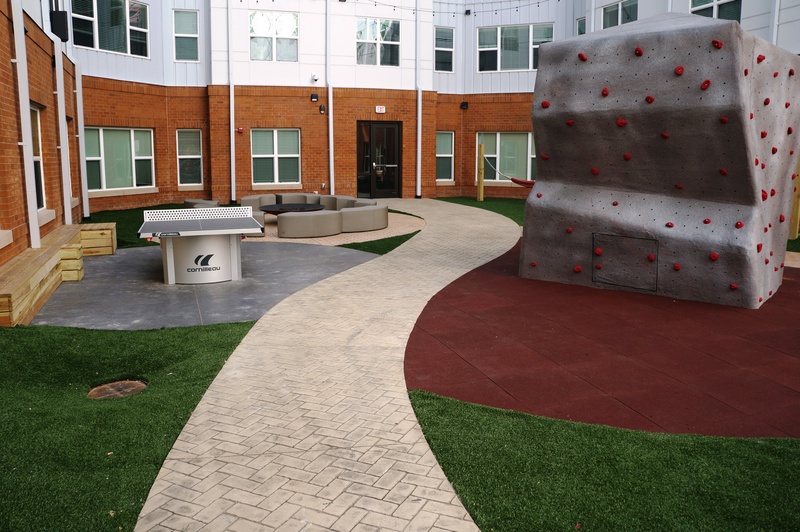 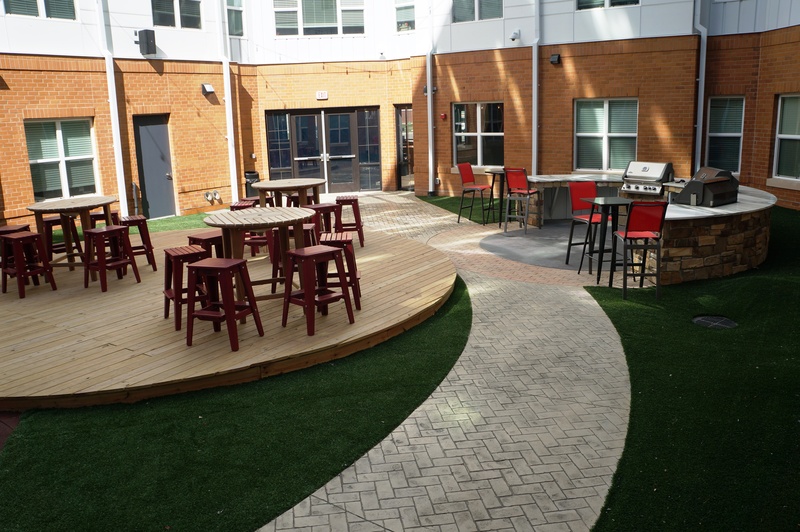 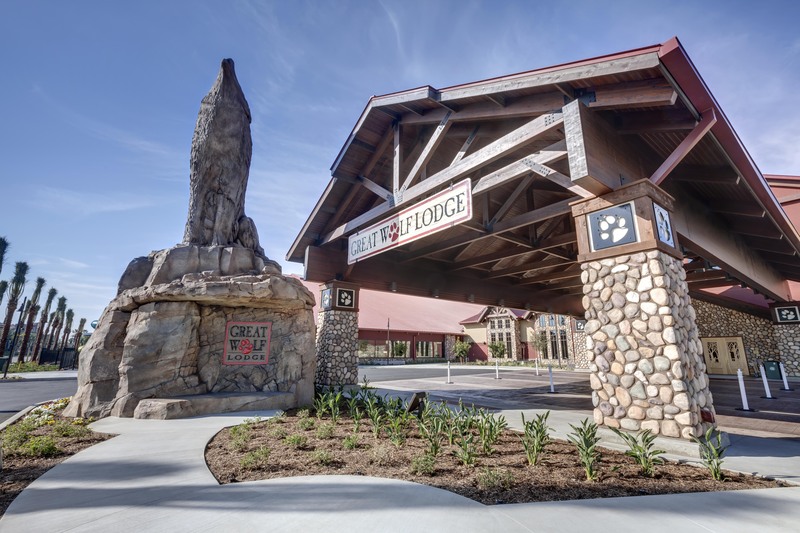 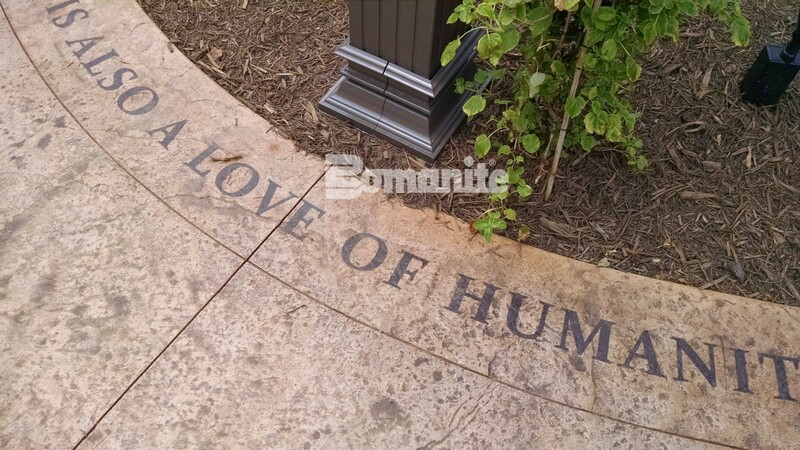 This project is unique because of the different techniques and products that were utilized, by Bomanite Licensee, Bulach Custom Rock, to produce the final result. 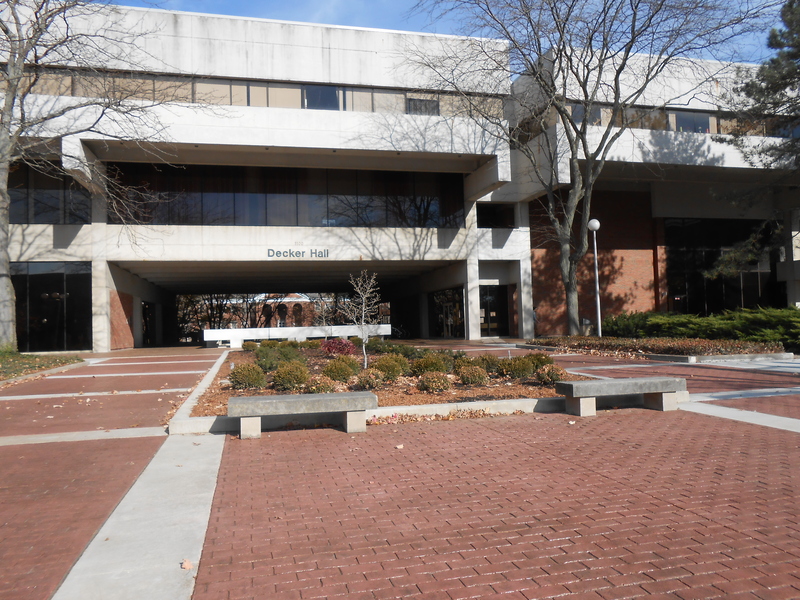 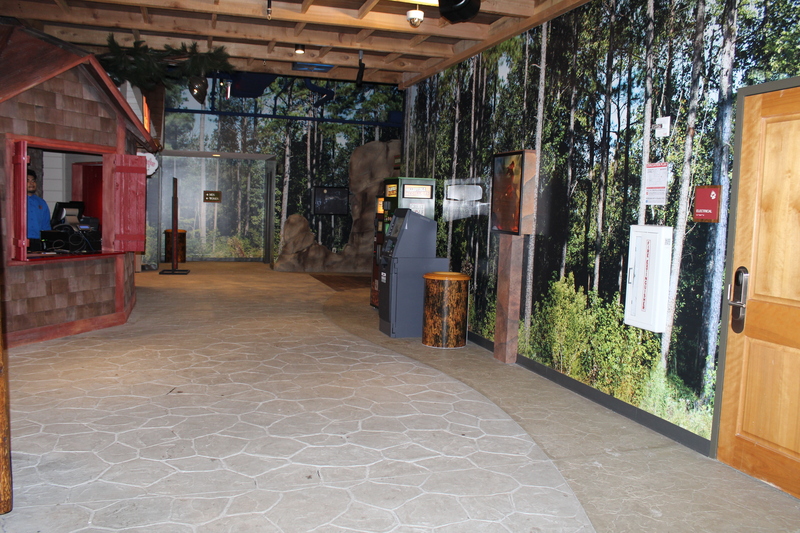 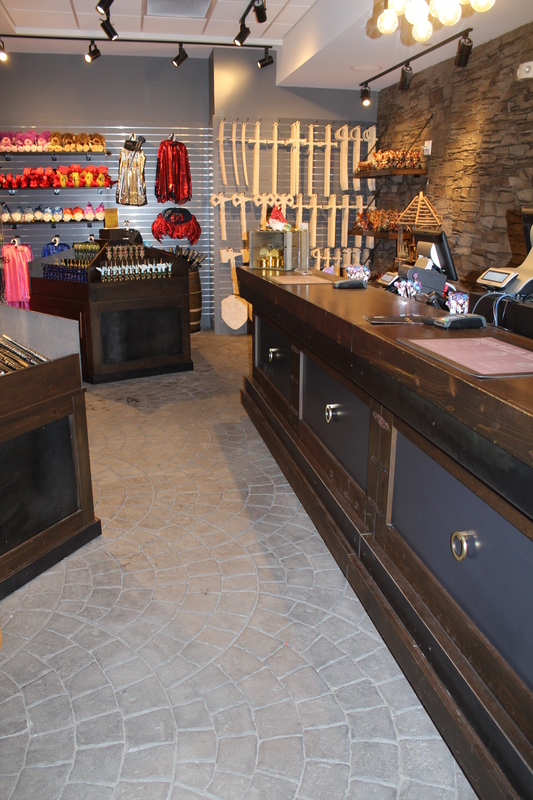 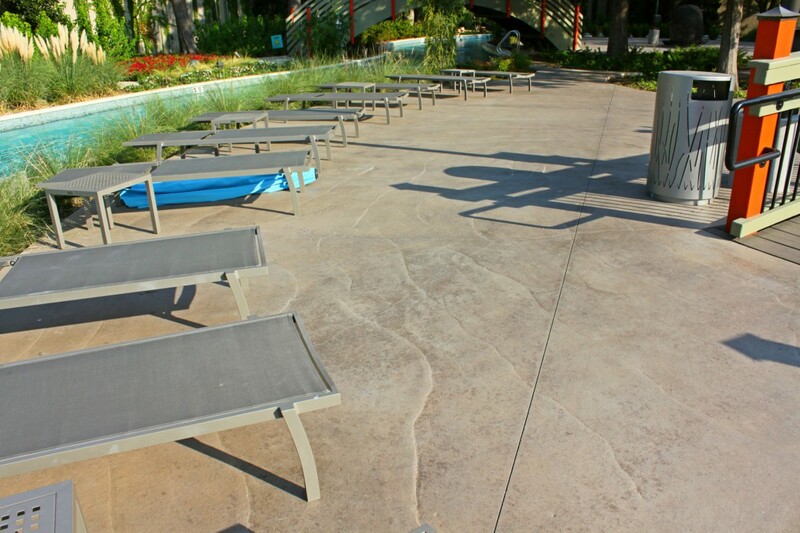 The floors started as cast-in-place concrete, in which a base coat of Bomanite Color Hardener was troweled into the floor, and then imprinted. 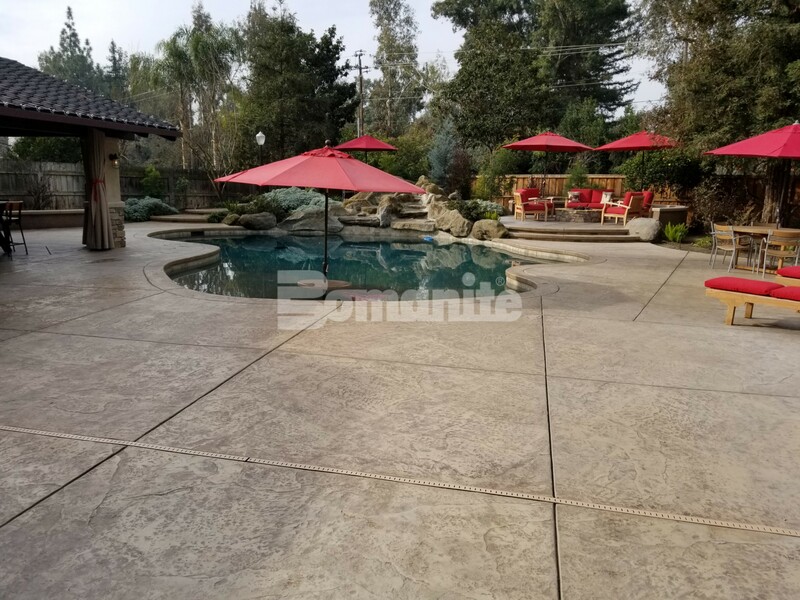 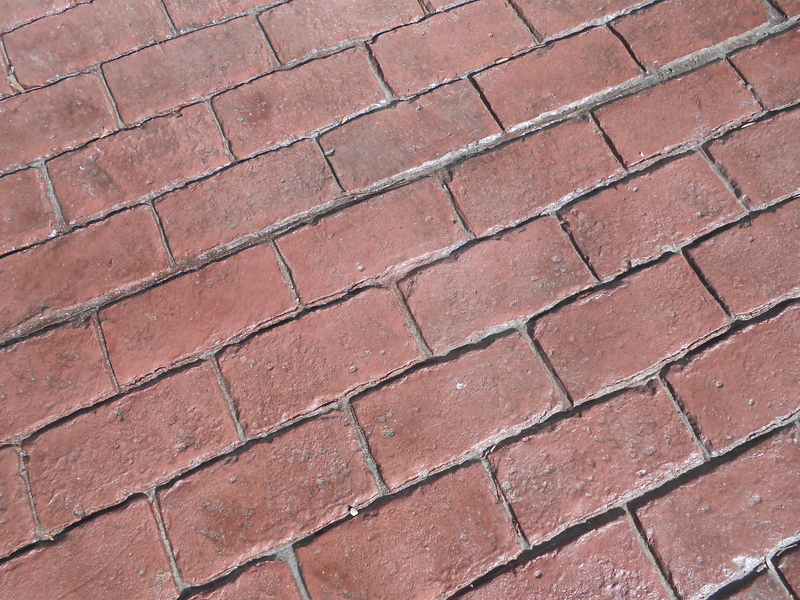 After the floor was cured for a short period of time, a second Bomanite color was added to the floor using a proprietary staining technique that gives the floor a beautiful variation. 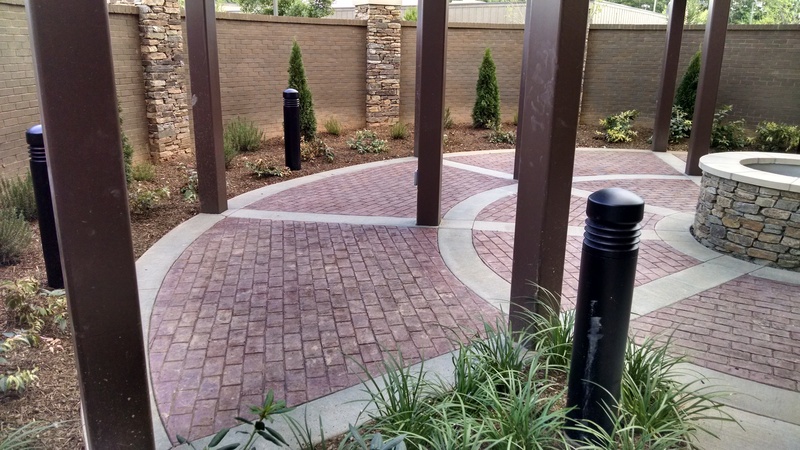 This process not only produced an exquisite final product, but due to the lack of dust, this process provided a much safer working environment for employees and other trade workers nearby. 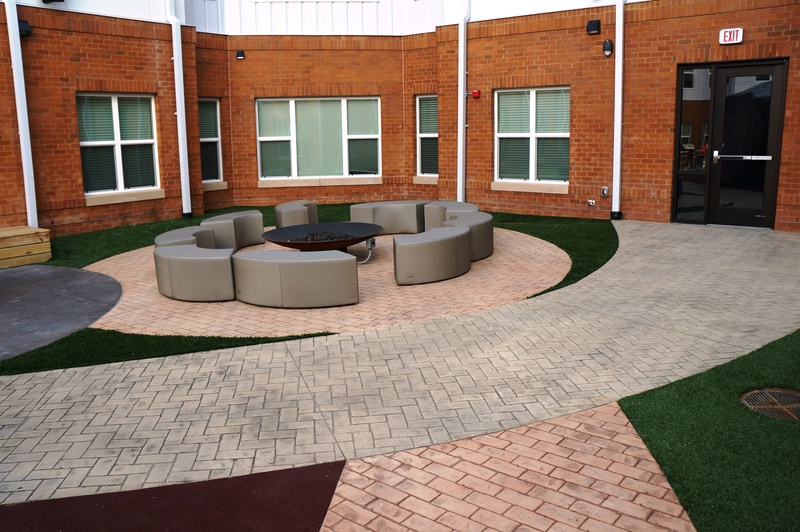 All coping areas were finished at the same time as the decks using a mixture of products to create a finished look that allows the coping to be part of the deck without having to be poured independently. 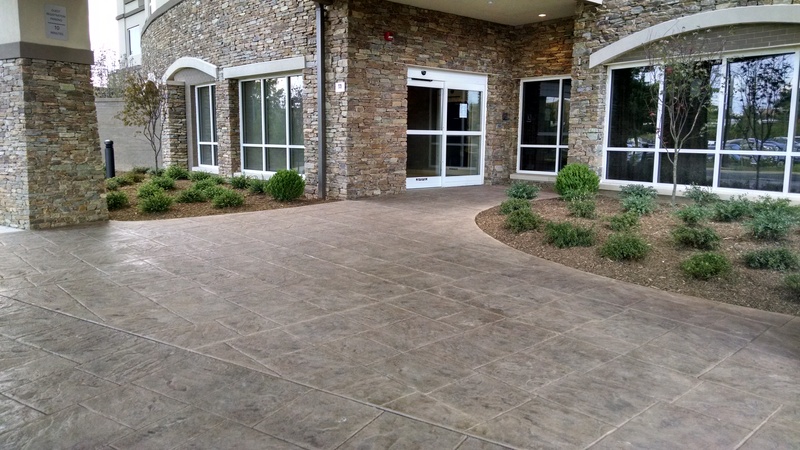 Another unique part of this project is the tremendous coordination that was involved with all the other trades. 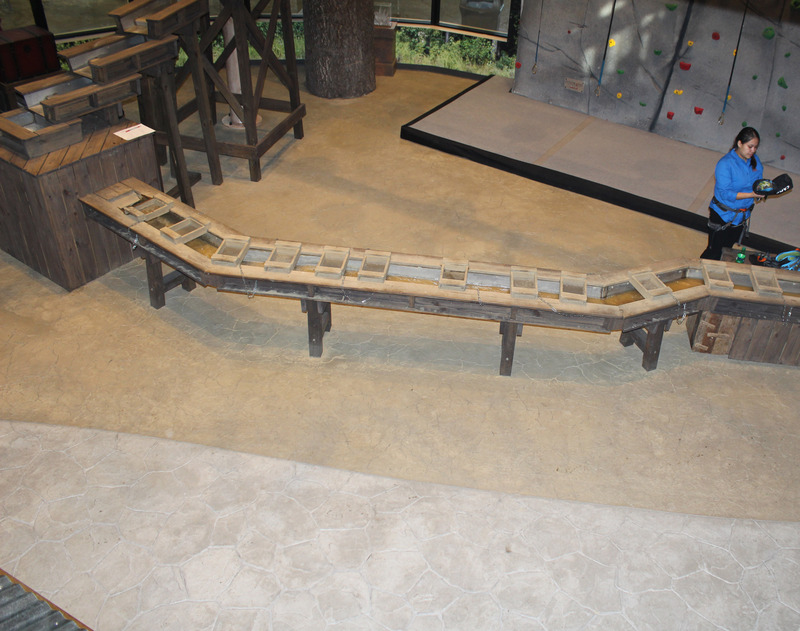 Because these floors were poured as monolithic slabs, these floors were being poured at the same time as overhead electrical, underground plumbing, painting, and theming, which made it very difficult to maintain a constant pouring schedule having to continuously work around lifts, scaffolding and excavating equipment all at the same time in an enclosed area. 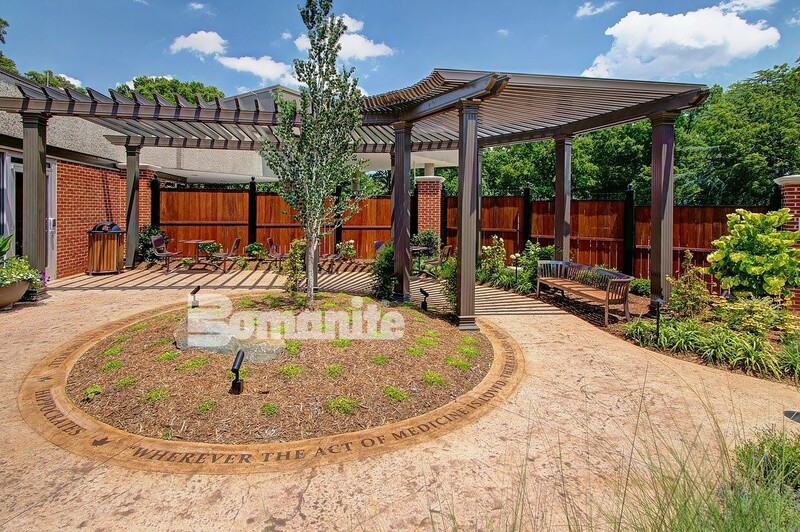 All of these things, together with being able to use application of products and techniques in a “thinking out of the box” situation is what makes Bomanite Licensees stand out from the crowd. 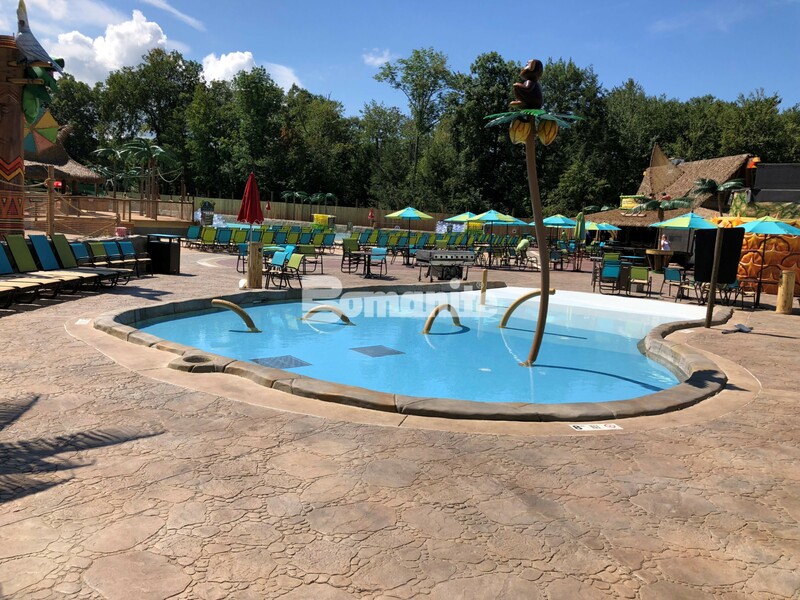 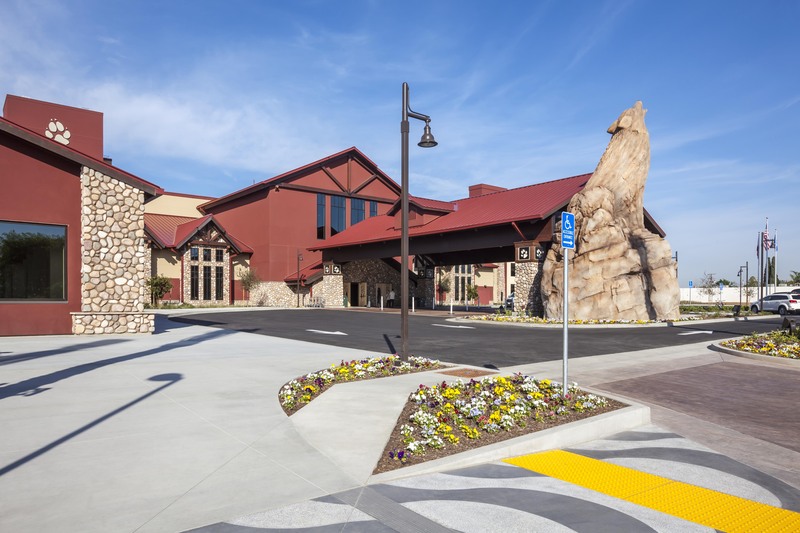 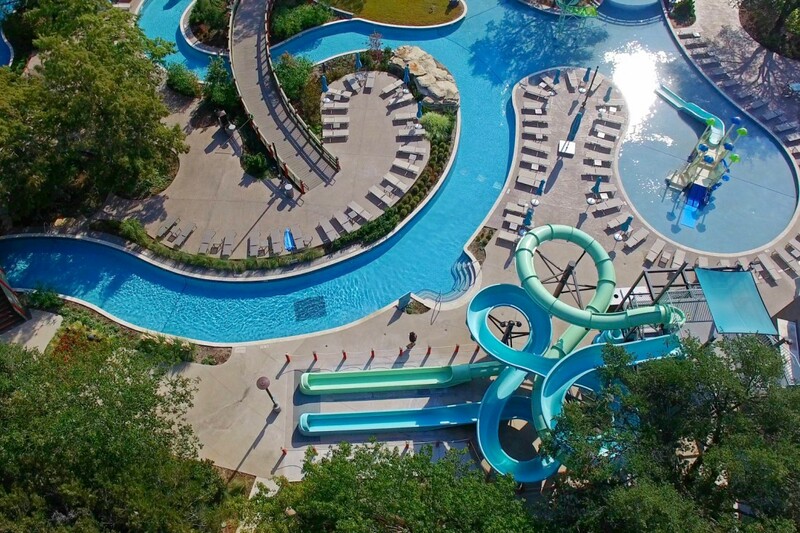 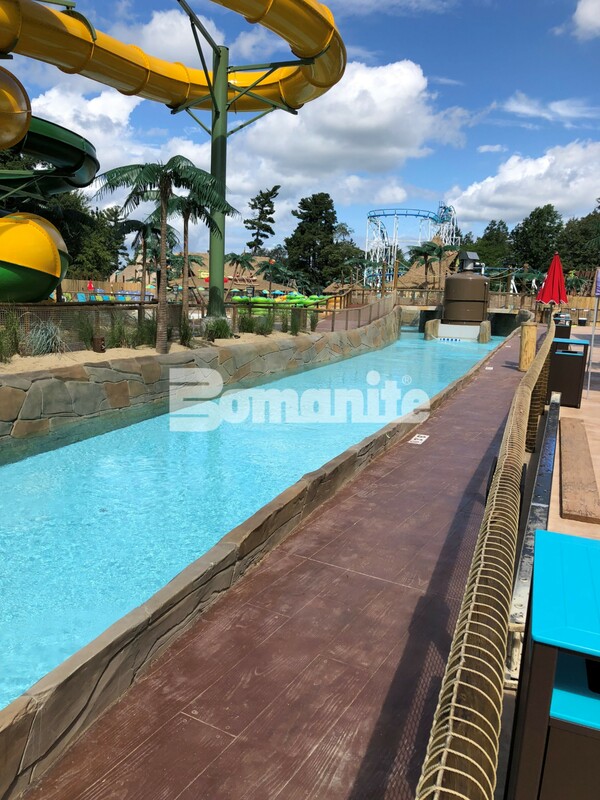 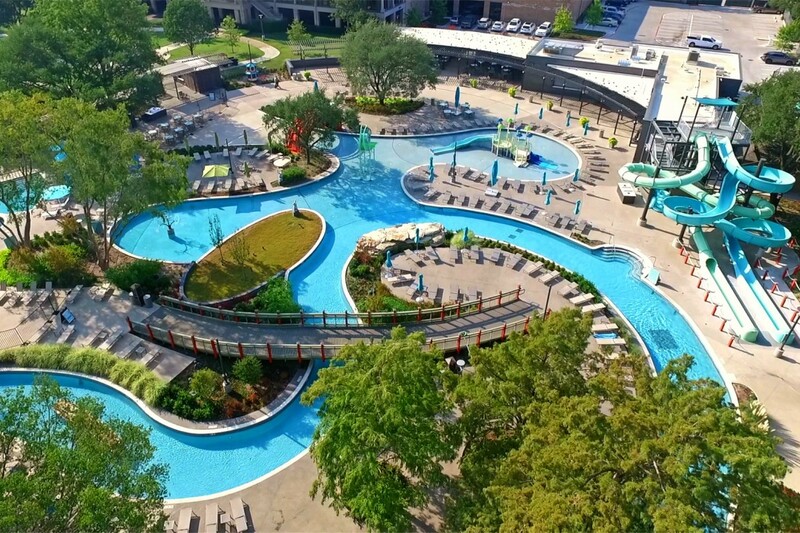 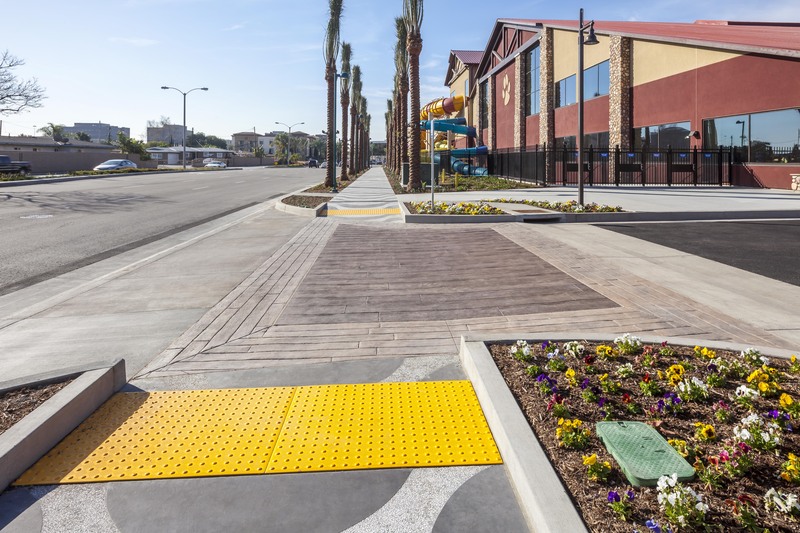 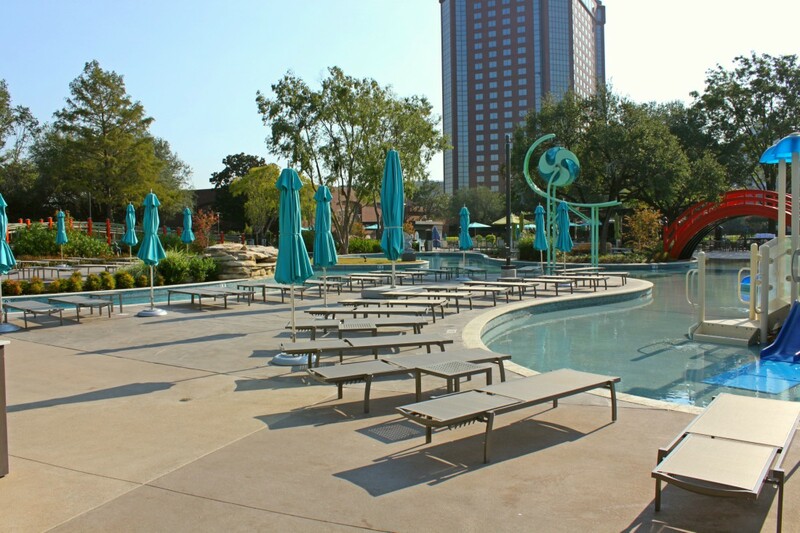 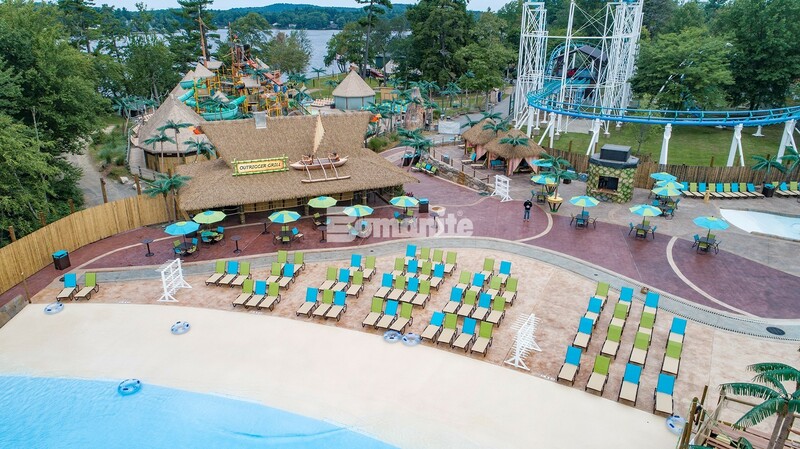 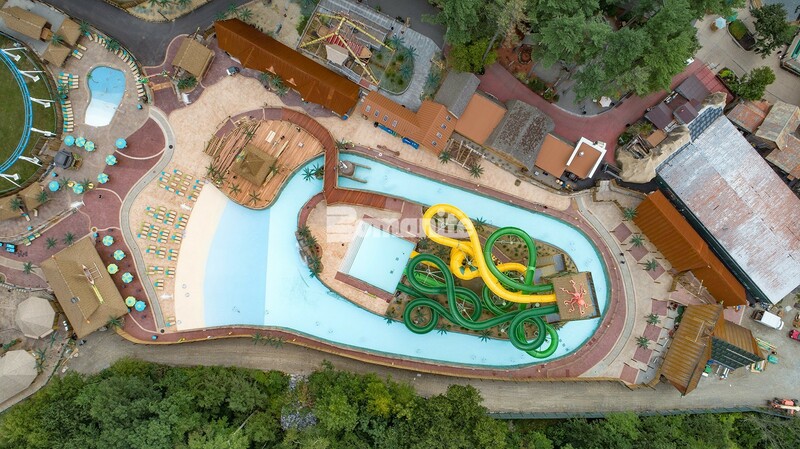 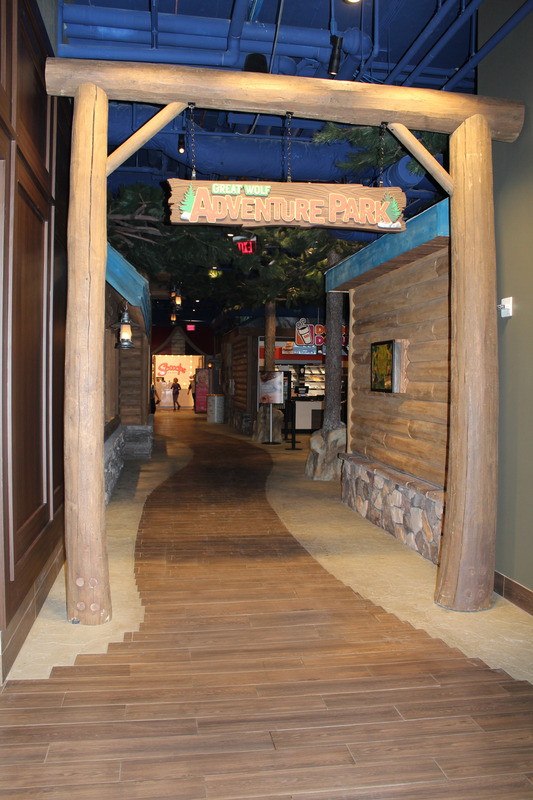 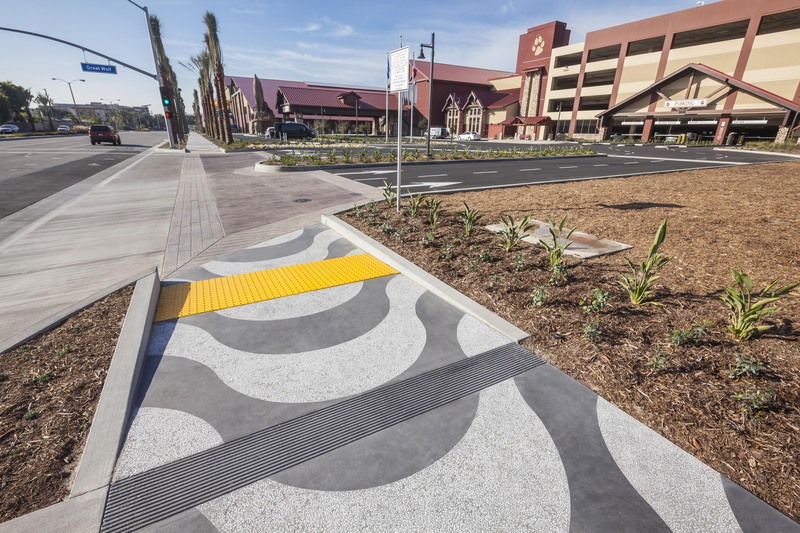 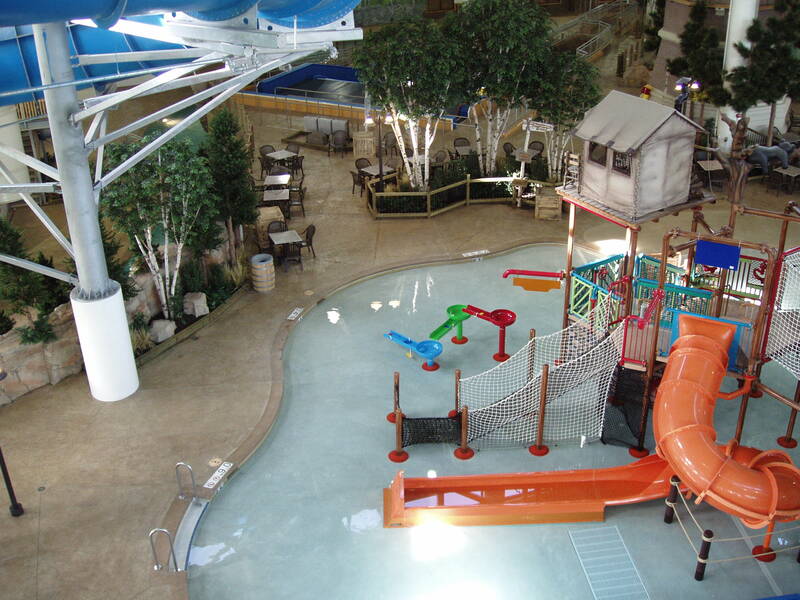 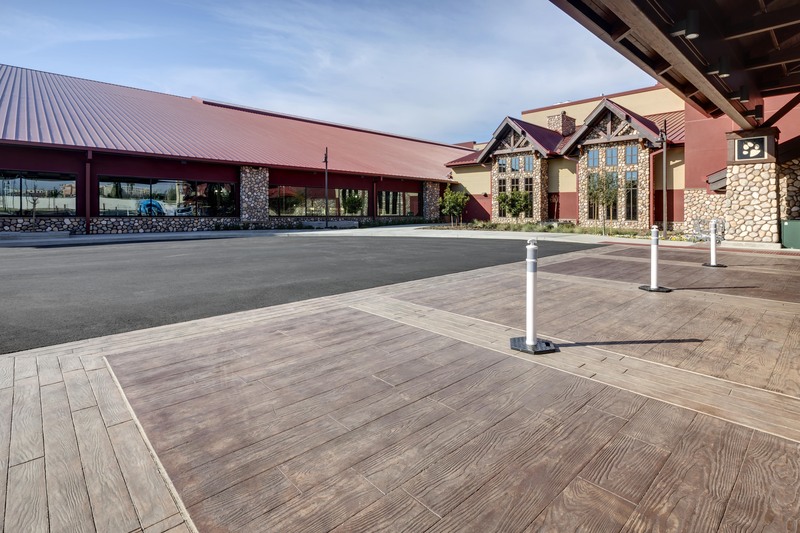 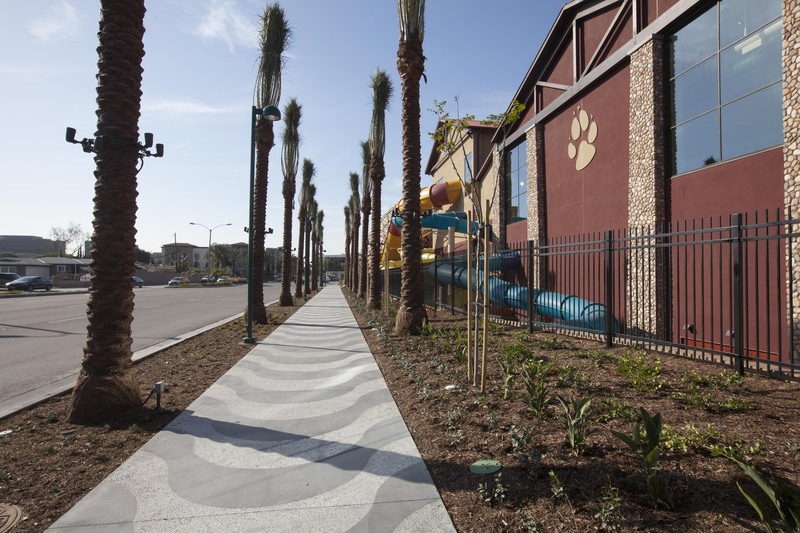 Contact us today to learn more about the Bomanite Imprint Systems and how you can incorporate into your design a highly slip resistant flooring for a commercial waterpark, theme park or even a hotel pool deck. 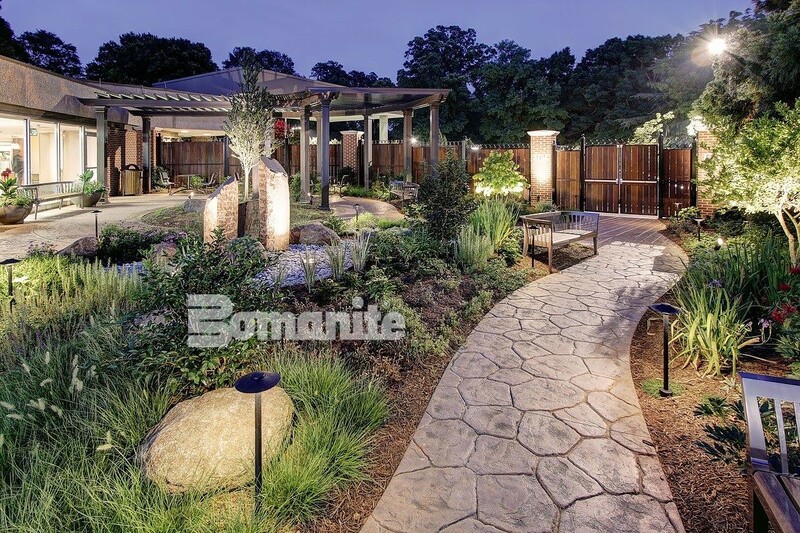 Visit our website to see more photos of this project.